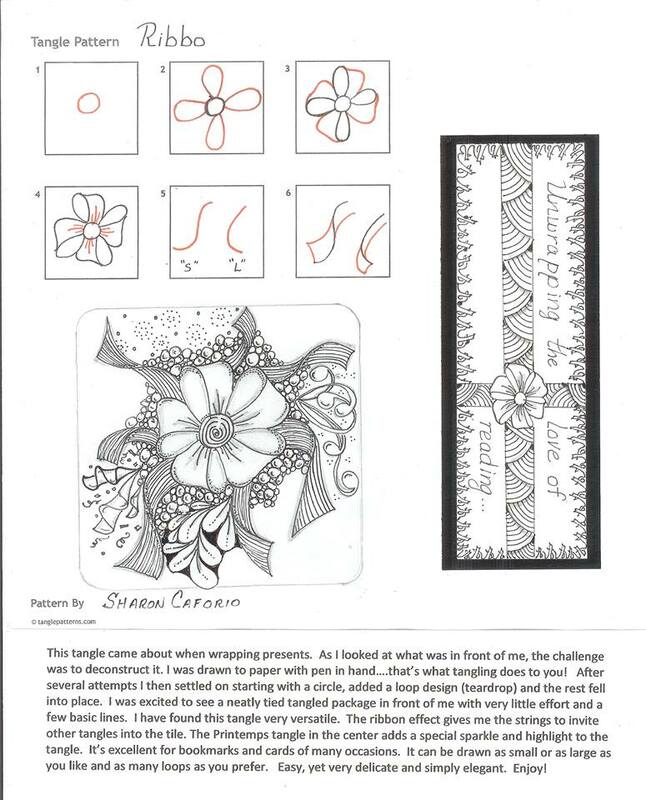 My Mom, Sharon, is also a Certified Zentangle Teacher (CZT). We had the privilege of attending our CZT training together. She creates beautiful tangled art work, jewelery, clothing and more! A few months ago she published a new tangle called Ribbo. It was shared with our fellow CZTs. Since she does not have a blog, she’s given me permission to share it with you!